This afternoon Pachamama will be back in the water. It tooks two weeks to change the rigging. In the meantime we managed to sand, prime and paint the bottom, to grease the propeller, to put new anodes, to seal the windows, to clean the tanks, to paint new marks on the anchor chain and to clean the valves, spedometer and the whole interior and deck and some other smaller jobs. So we were quite busy! Thanks again to Turbulance Rigging, Budget Marine and Spice Island Marine Service; – with their help we were able to manage all for less than US 500.-. With the new rigging we are very happy; a special thank you to Turbulance Ltd. (turbsail@caribsurf.com). Fortunately Sabine’s toe is not infected. But still her activity radius is only under deck. At the moment she is making bread. We will offer a Swiss fondue for the riggers from Turbulance tonight. Tomorrow we will sail together with Mike and Dawn from the sailboat “White Princess” to Martinique. In Martinique we plan a short stop to check our new Nanni Diesel motor. There is an agent in Martin. May we have also the chance for a school visit? 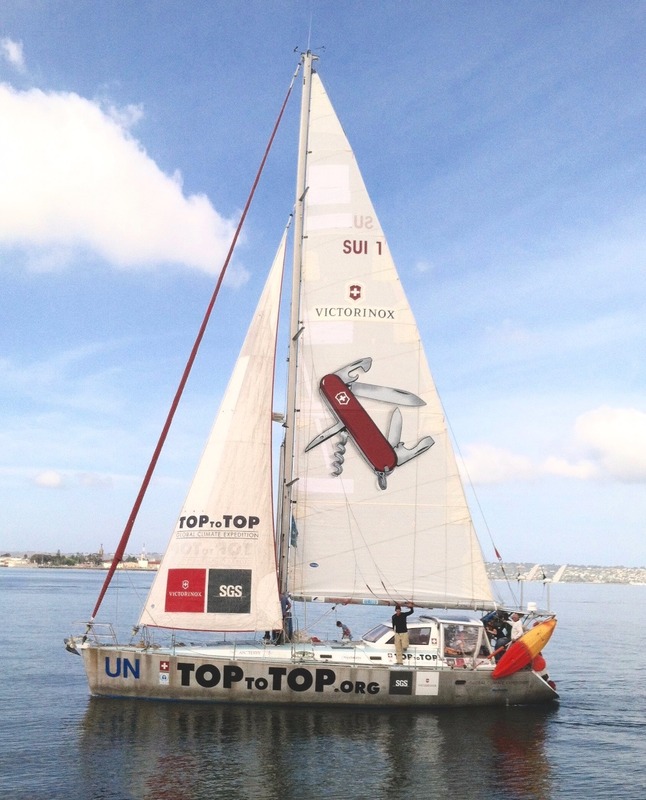 After Martinique we will sail straightway to St. Thomas in the Virgin Island to meet TOPtoTOP member Jean Braure. Jean has already organized a lot up there! We plan to be with Jean till TOPtoTOP board member Hanspeter Good arrives. Meanwhile Mike and Dawn from “White Princess” will check good dive spots. The plan is to do an underwater film which we can use for school visits. We hope to meet them end of March S of the Virgin Islands, just before we are heading to Venezuela, the ABC-Islands and Panama. alles gute von der kalten schweiz. waer gern bei euch.